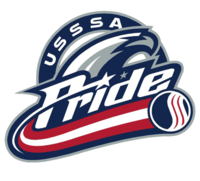 The USSSA Illinois Pride 16u team is looking for a couple players to complete their roster. We are a very competitive team that will be playing in front of college coaches. Our girls are dedicated to working hard on and off the field, being a TEAM PLAYER , and doing what it takes to get to play at the next level. We play a full schedule of softball - Tourneys, Showcases, and Nationals. We play during the Fall, Winter and Summer only taking time off for December and the Illinois HS softball season.